Tony is a mediator, arbitrator and investigator with ADR Chambers. Tony’s areas of expertise include insurance, estates, arts & entertainment, media & communications, real estate, small business, commercial, First Nations, and workplace disputes. 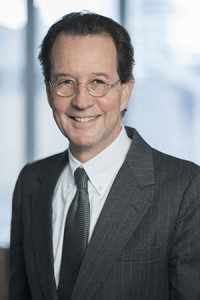 Tony taught negotiation and mediation at Humber College from 2005 to 2008, and taught ADR and negotiation at the Law Society of Ontario and Osgoode Hall Law School between 1989 to 1992. From 2005 to 2016 Tony was a member of an adjudicative tribunal with jurisdiction in the mental health area (appointed by Order in Council). He sat as a part-time deputy judge with Small Claims Court in Toronto for 4 terms from 1994 to 2006. Before earning his law degree, Tony worked in the film and television industries in Vancouver for CBC and in Los Angeles for Metromedia Television. After earning his J.D. at the University of British Columbia, Tony moved to Toronto to article at the oldest entertainment law firm in Canada: Rosenfeld, Schwartz (a firm that merged with Goodmans LLP in 1981). He was called to the Ontario Bar in 1982. Tony’s first position as a lawyer was with First Choice Pay TV as the Director of Legal and Business Affairs. In 1984, he started his own law firm and for over 30 years he has operated a solicitor’s practice in the areas of wills, estates, real estate, and small business law. Tony served as a Director on the Boards of Visual Arts Ontario and Classical Cabaret and sat on the Executive Committee of the Ontario Bar Association’s Media and Communications section. He is a member of the ADR Institute of Ontario, the Academy of Canadian Cinema & TV, and Law Society of Ontario.